Here are some examples of cards we’ve done for people in cash gifting programs. 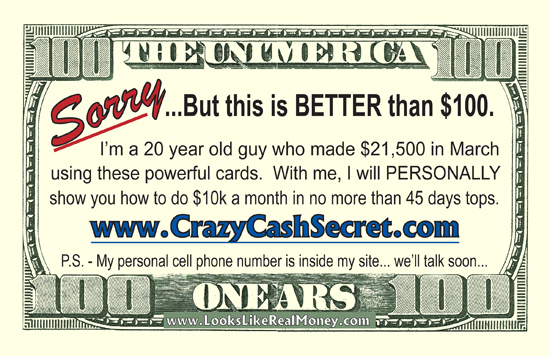 Here is a set of $100 dollar bill business cards we designed for a client who participates in the cash gifting activity. Cash gifting dollar cards have proven to be more effective than cash gifting postcards.